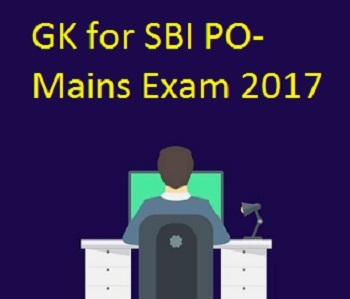 General Awareness section is one of the most important sections for bank recruitment exams including SBI PO exam. To crack this section, candidates need to update their current affairs of the national and international importance along with the banking industry. General/Economy/Banking Awareness is the most scoring section in SBI PO Mains Exam. The exam is scheduled to be held on 4th June 2017. Here we are presenting you important general awareness facts based on recent news.